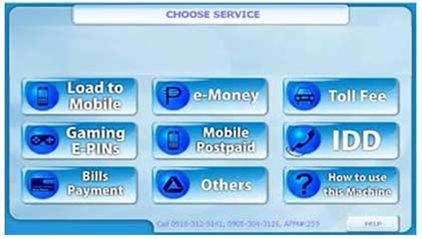 Select Bills Payment on the 'choose service' screen. Insert the bills in the machine, one at a time. Once paper bills were inserted, wait for the red light to turn yellow and press ‘PAY’. 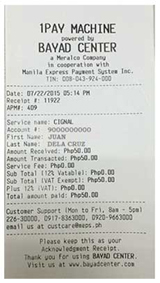 Receipt will be issued for every successful transaction. 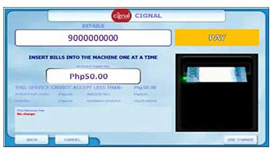 Note: 1Pay Machines only accept bills (coins are not accepted). Php 50 minimum payment applies.